The GPO Retro 7 Inch Vinyl Record Case in black is perfect for maintaining the mint condition status of your beloved 45's. 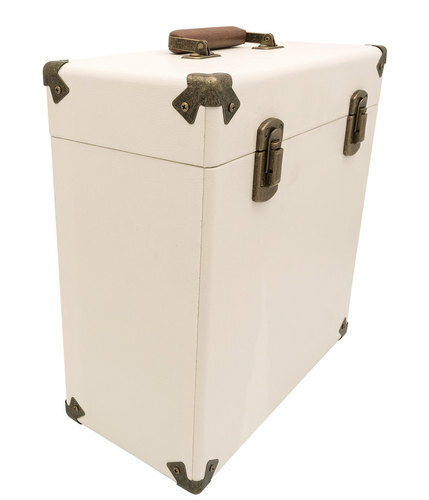 Offering a charming Retro aesthetic, the stylish Vintage look is sure to add a touch of Sixties Mod style to your home decor. 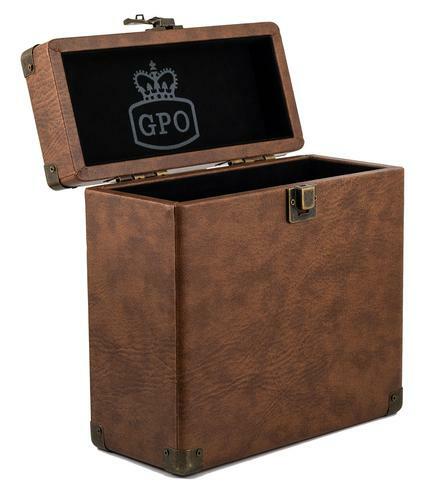 The perfect way to protect your vinyl 45rpm Records - The GPO 7 inch Retro Record Box. 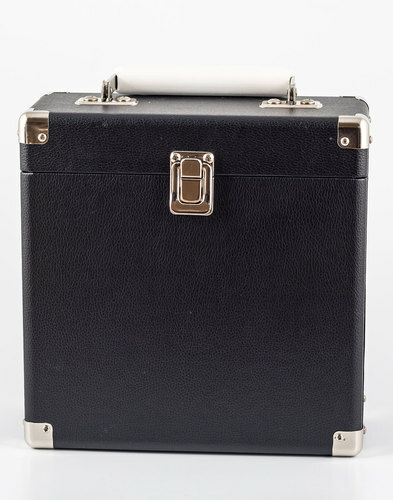 - GPO Retro 7 Inch Vinyl Record Case in black. - Vintage metallic clasps and corner protectors. - Smooth matte leatherette finish. - Comfortably holds around 20-25 records. - SKU: VINYL CASE 7 INCH (BLACK).